It’s true: a bill that would federally legalize cannabis has been introduced to the house. Here’s how to show your support. Is federal cannabis legalization right around the corner? Two congressional representatives have just introduced legislation that would legalize cannabis, removing it from the scheduled substance under the Controlled Substance Act of 1970. Currently, the Controlled Substances Act is the primary piece of legislation that criminalizes cannabis sales, cultivation, and possession. However, the Ending Marijuana Prohibition Act of 2017 could change all of that. Landmark bill could legalize cannabis in U.S. The “Ending Marijuana Prohibition Act of 2017” was introduced to the house on February 27th by Tom Garrett (R-VA) and Tulsi Gabbard (D-HI). If passed, the bill would place cannabis in the realm of alcohol and tobacco, rather than categorize the herb as a drug as dangerous as heroin and more dangerous than cocaine. I have long believed justice that isn’t blind, isn’t justice. Statistics indicate that minor narcotics crimes disproportionately hurt areas of lower socio-economic status and what I find most troubling is that we continue to keep laws on the books that we do not enforce. Virginia is more than capable of handling its own marijuana policy, as are states such as Colorado or California. This new bill comes shortly after the launch of the Cannabis Caucus, which is made up of a bipartisan group of federal lawmakers that hope to protect the rights of cannabis consumers and the cannabis industry on a national level. […] this step allows states to determine appropriate medicinal use and allows for industrial hemp growth, something that will provide a major economic boost to agricultural development in Southside Virginia. In the coming weeks, I anticipate introducing legislation aimed at growing the hemp industry in Virginia, something that is long overdue. The Ending Marijuana Prohibition Act would allow states to control and regulate their own cannabis markets, including hemp, recreational, and medical products. Sounds pretty amazing, right? But, these sorts of bills have been introduced to congress before, without much action. One such case was the CARERS Act, which would allow medical cannabis patients compassionate access to cannabis. Recently, some concerning comments regarding cannabis have come out from the Trump administration. Recently, Press Secretary Sean Spicer falsely suggested that cannabis is somehow negatively to blame for the current opioid painkiller epidemic, which claims 33,000 lives each year. Attorney General Jeff Sessions has also made some uninformed accusations about the herb, telling audiences that the plant contributed to violence. 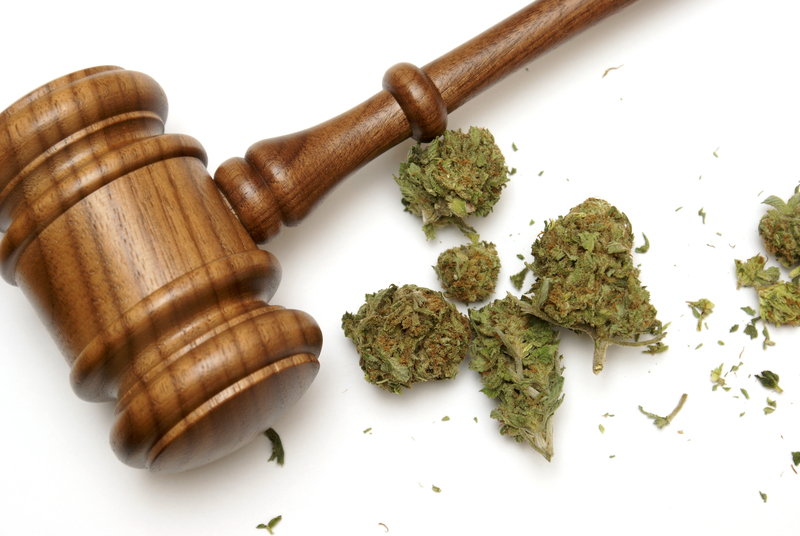 Clearly, the industry is at a crucial point in its legal evolution. Between the introduction of this new legislation and the recent creation of the cannabis caucus, there are certainly some strong cannabis-positive voices in Washington, on both sides of the aisle. However, the way things are gearing up, the upcoming months will be big for consumers and the industry as a whole. If you would like to get more involved in cannabis reform, the National Cannabis Industry Association is recruiting those interested in advocating for cannabis during the industry lobby days in Washington D.C. The event will be held this May and provides consumers and industry professionals to educate senators and congressional representatives on the peaceful plant. Can’t make it? Support the bill by contacting your representatives! Find their phone numbers on house.gov.